Hard times come and go, as well as good times. Happy days come and go, as well as sad days. And that is the essence of life. Things aren’t always good and aren’t always hard. Days aren’t always happy and aren’t always sad. And people are left in the middle; wondering when good time will come whenever they have a hard time and wondering when days will be sad again whenever they have a happy day. As other people come and go in our life, we are left to wonder when we have another goodbye again whenever we have a hello. And we wonder when we can have another hello again every time we say goodbye. Flowers are blooming at one time, and they will be withered at another time. Rain is falling so hard at one time, and it will stop raining at another time. Days turn to nights, and nights turn to dawn. Hours turn to days, and days turn to years. Just like that, we live our life while playing our own role in this universe. And at some point in life, there is time when we are caught by the heartbreaking separation, leaving us to wonder whether the happy loving days will ever come again in our life. 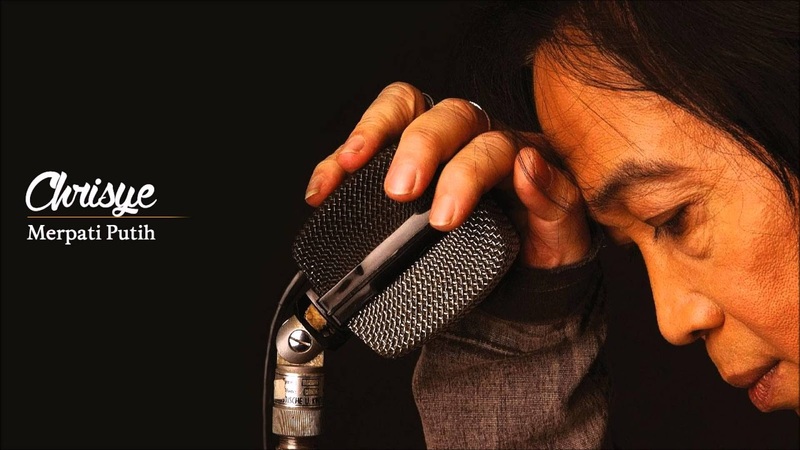 This song is titled “White Dove (Merpati Putih)”, performed by the Indonesian legendary singer, the late Chrisye. 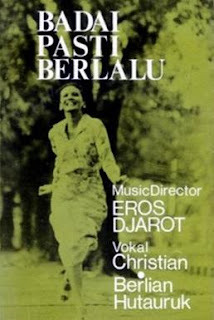 It was released in 1977 for the original soundtrack album of the Indonesian box office movie, “Badai Pasti Berlalu”. In December 2007, the album was chosen as the number one best album of 150 Best Indonesian Albums listed by Rolling Stone Indonesia magazine. And this ballad track is my favorite in the album especially for its amazing piano intro and the beautifully sad lyrics. Written by the legendary songwriter, Eros Djarot, with Yockie Soerjoprajogo, the song’s lyrics express the deep sadness and sorrowful desperation of saying goodbye to the loved ones. The heartbreaking separation leaves a lingering wonders about when love and happy days will come again. Just like a white dove that flies to the sky and disappears through the clouds, love has just gone like that, and never knows when it will come back. On January 2017, I chose this song to become a part of my list of 7 Ultimate Sad Songs: Indonesian Male Vocalist Edition. Love is like a white dove. It was born to be free, but we are eager to put it in a cage for it’s so beautiful that we want to own it for ourselves. However, something that is meant to be free is losing its beauty when we capture it and tend to keep it in a cage. That is just the way love is. When we love someone, we got to set them free. For love will always find its way. It won’t go anywhere though we set it free. And that’s when we know we are loved. However, in this life, seasons come and go. And so does love. At some point in life, we let it go; and never know when it will come back. “Flowers in the arms are already withered; the white doves are marching home, flying, braving the storm, high up among the clouds, and disappearing in the dark sky.” As much as we love, we have to set it free. As deep as we love, we have to let it go. When the flowers we keep in our arms are withering, that is when we know that it is time. When we realize that it is time, that is when our sky turns to grey, as we see it swallowing the white dove away, far from our sight. At some point in life, there comes a farewell that will break our heart apart. Though we understand that there is nothing we can do about it, that it is the only thing we can do, we cannot help but being caught in pain and sorrow. Indeed, there is no such thing as a beautiful goodbye. Goodbye is always painful, no matter how good it may seem. Separation is always heartbreaking, no matter what good purpose it may have. “Goodbye to the memory of making love, until when do I have to wait for the happy days like the old ones? Being intimate again with my love, making out again, uniting one promise of a million stars in the arms, as warm as the bright morning.” And just like the awkward silence after the storm has passed, we are left to wonder whether there will come a beautiful days full of love again; for the hollow doesn’t seem to last. 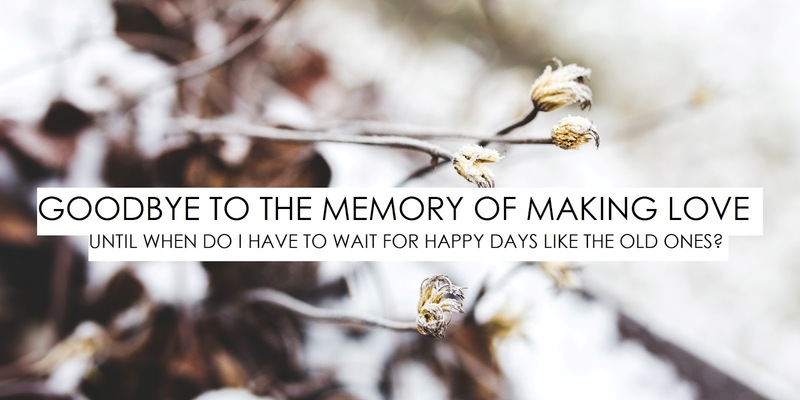 We are left to wonder whether the time full of happiness will ever come again, for the pain doesn’t seem to heal. We are left to wonder whether we can love again, for the emptiness, loneliness, and sadness doesn’t seem to fade. There is too much to this farewell that time cannot seem to erase. And the pain of the separation is just too real. And the wounds from the goodbye won’t seem to heal. However, no matter how hard we try to escape from the harsh reality, we cannot help but being awake from the dream and facing it eventually. No matter how many times we try to tell ourselves that it wasn’t real, we are being hit by the reality that tells us to get ourselves together. Feelings are fading, and so is love. Flowers are withered. Promises are broken. Hearts are hurt and in pain. Intimacy is getting cold and distant. Lovers are eventually going their separate ways, therefore we have to say goodbye. “Goodbye, the memory of love, the memory of making love.” And there we are left in the cold, lying on the floor, longing for the warmth of love’s embrace. And there we are left in the dark, dreaming for the better days to come, saying goodbye to the broken promises. And there we are left alone, under the blinking stars, wondering whether the bright morning will ever come again in our life. For these 27 years of my life, I can say that life is indeed a mystery. We can never know what the universe got in store for us. We can feel so happy at one time, yet at another time, we can feel extremely sad. Moreover, the cause of those feelings can come from the same one person. We never know. And I guess, that is indeed the purpose. We need to feel them all; not only the happiness but also the sadness. Hence, we can learn. Hence, we are able to understand. Hence, we are being human. One of the things that I’ve learned during these 27 years of my life is that nothing lasts forever. Things come and go; everything. And the process of our learning lies in between those things that come and go in our life. They give us lessons to learn. They give us matters to understand. They give us chance to be a human. And the choice is in our hands; whether we neglect them or take them. Life is a series of trials and errors. And with all the changing seasons in our life, perhaps we could get it right next time; for there is always be next time. Aku harus menunggu hari bahagia seperti dulu?